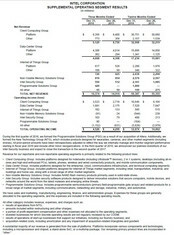 Profits are down 10 percent YoY to 10.3 billion USD despite a revenue jump of 7 percent. The world's largest semiconductor company recently posted its earnings for 2016 where YoY revenue has reportedly jumped about 10 percent from 14.9 billion in Q4 2015 to 16.4 billion in Q4 2016. 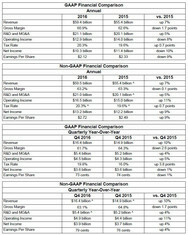 Meanwhile, net profits have actually remained relatively stable QoQ at 3.6 billion USD as of the last quarter. When looking at the full year of 2016, the chipmaker has made 59.4 billion USD in sales compared to 55.4 billion in 2015 to represent an increase of 7 percent. 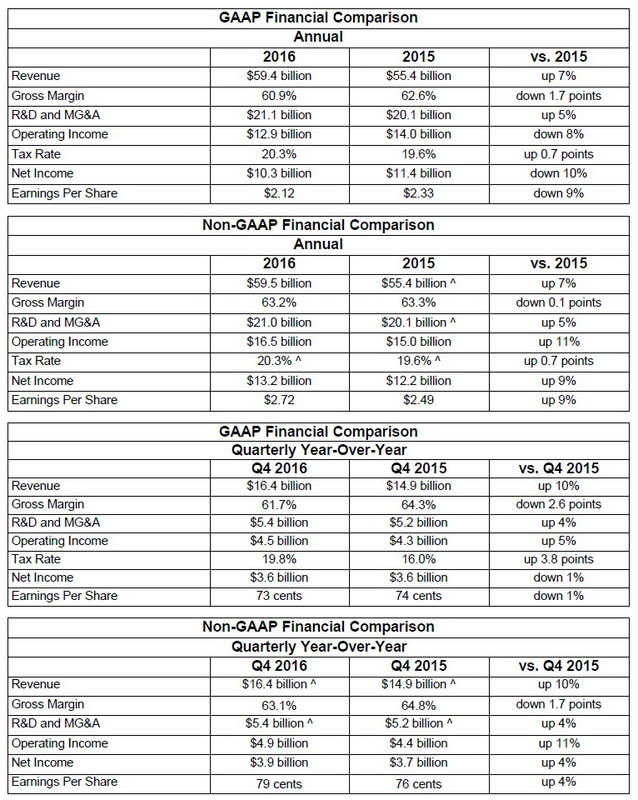 Net profits have declined about 10 percent from 11.4 billion in 2015 to just 10.3 billion. 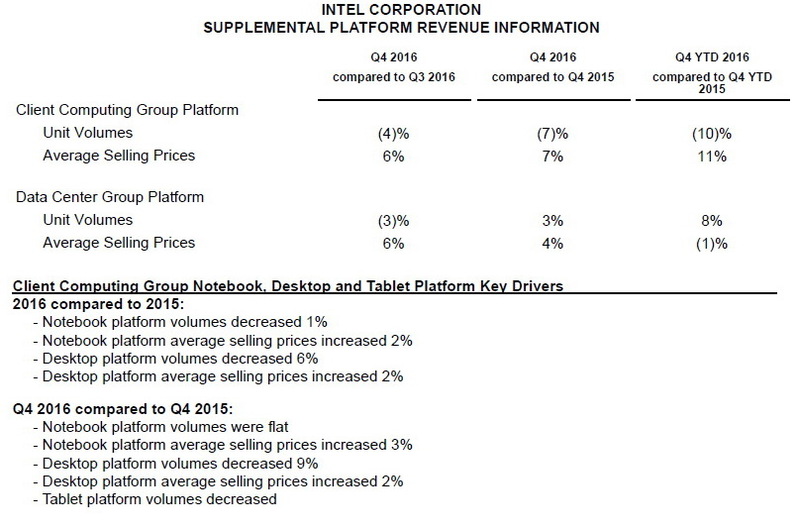 In other words, the steady sales of Intel products have not reflected well in terms of overall profit. 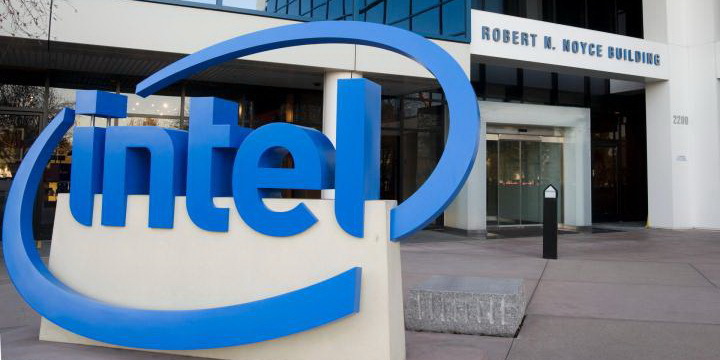 A closer look at the financial report shows that Intel's processors were unsurprisingly once again the biggest driver of both sales and revenue. 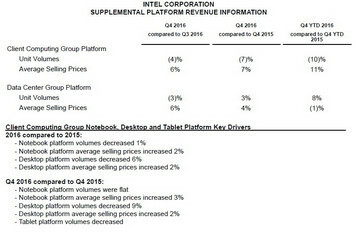 The Client Computing Group (CCG) that includes processors for notebooks, 2-in-1s, desktop PCs, and tablets made nearly 33 billion USD in revenue compared to 32.22 billion in 2015. The Data Center Group (DCG) responsible for Enterprise and Cloud services made 17.24 billion compared to 15.98 billion in 2015. 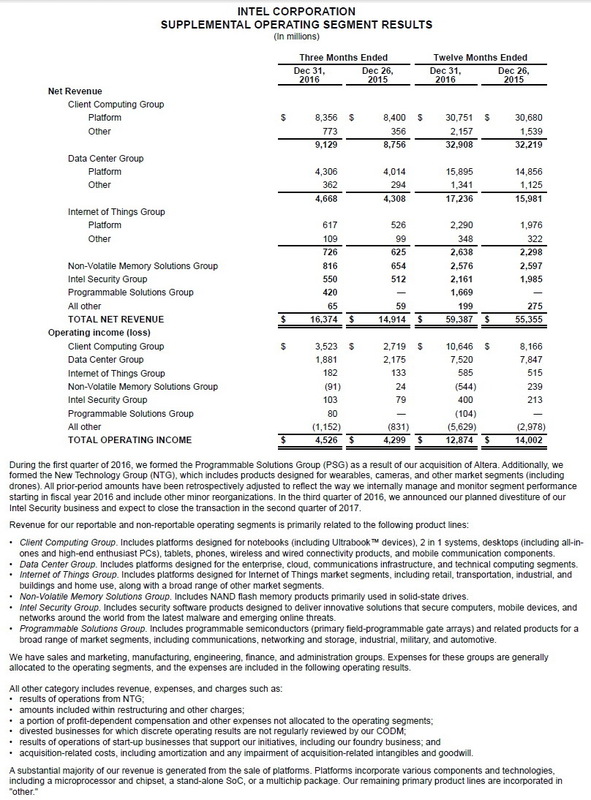 The Non-Volatile Memory Solutions Group responsible for NAND storage products and Intel Optane generated an operating loss of $544 million.